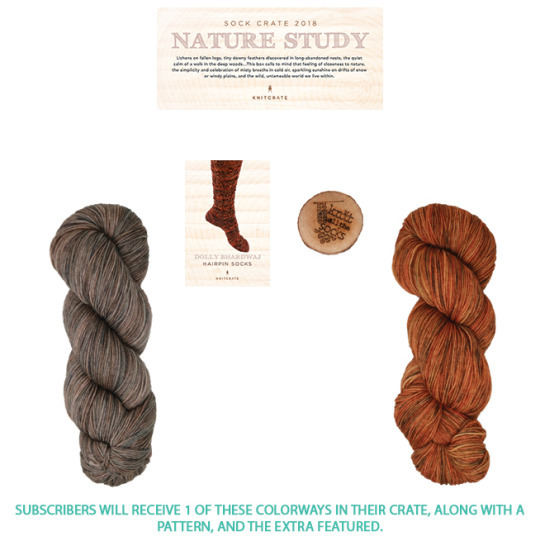 I don’t think we could have partnered with a better dyer for the Nature Study themed Artisan Crate this month. The North American Suri Company sources Suri fiber from the very best farms across the United States and Canada. The elegance and sophistication of their Salt River Mills yarns truly embody their motto, “ Luxury Yarns for Every Occasion.” This month, we are bringing you 3 skeins of Blue Spruce, a luxurious and super soft Sport Weight yarn. 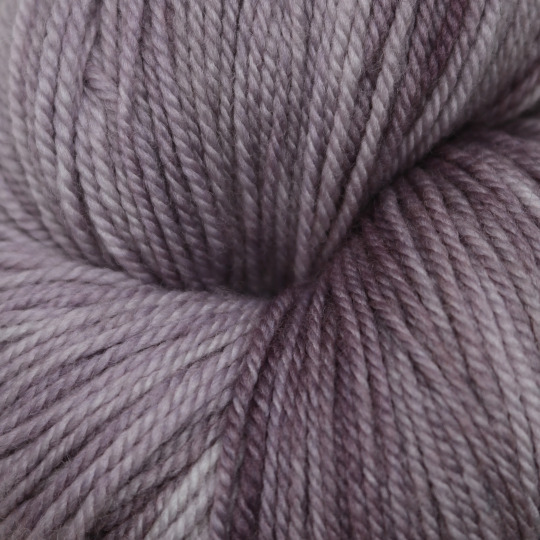 Some kits will contain an 85% Suri, 15% Wool blend, while others will contain a 75% Suri, 25% Wool blend. Each skein contains 215 yards / 75 grams. Both patterns are designed by Jennifer Wood from Woodhouse Knits. Her designs unite classic and modern styling with beautifully detailed patterns for a contemporary romantic feel. 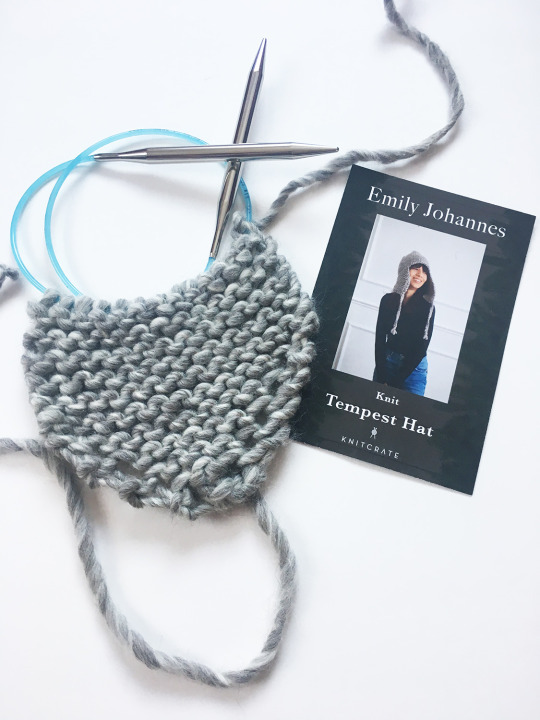 KnitCrate Membership Reveal is Up! 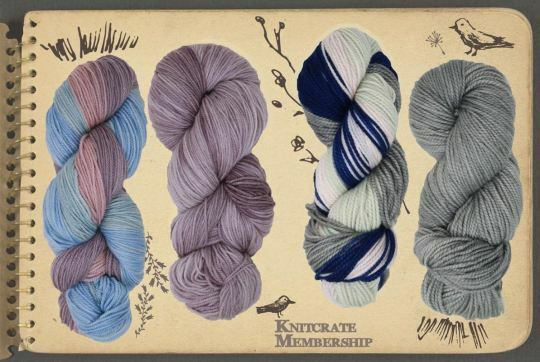 Ok… so… this month you will be receiving 1 of 3 possible colorway combinations in the KnitCrate Membership! Woo hoo! 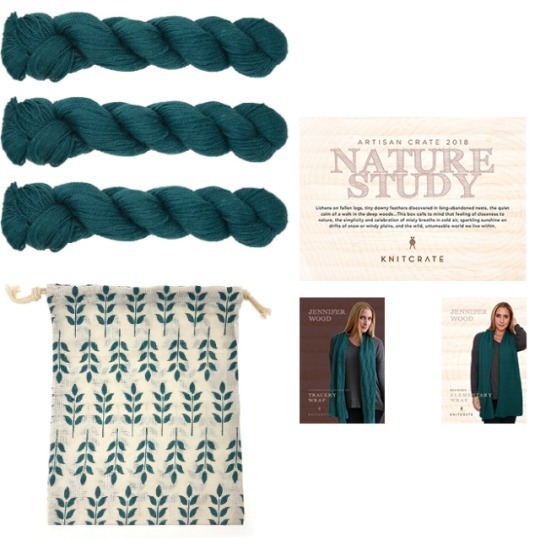 If you don’t want to miss out on this month’s KnitCrate Membership, subscribe here. 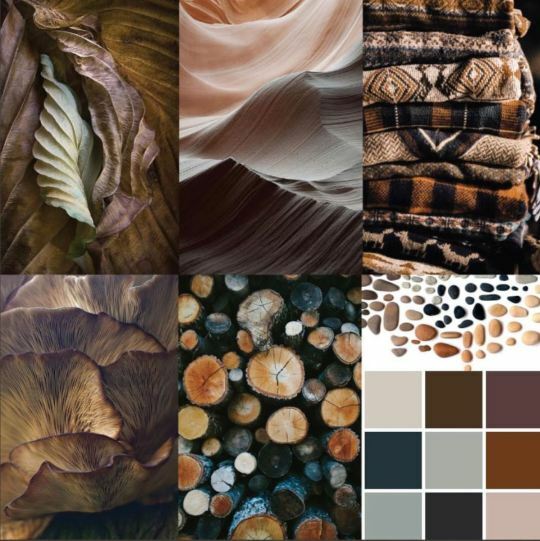 Jan 2018 Mood Board Reveal - Nature Study! 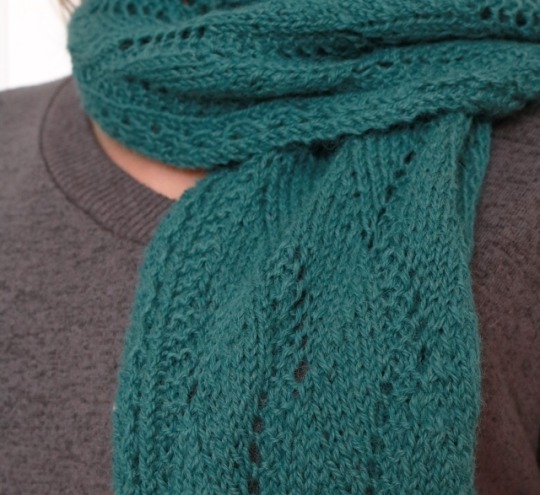 I lived in Montréal for ten years, and one of the most fun things about learning French was figuring out all manner of knitting terms so I could follow French patterns! 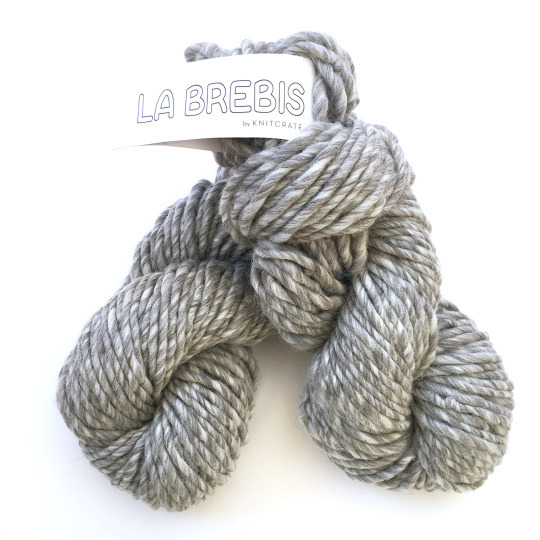 Well, I was proud of those French lessons when I opened this month’s KnitCrate and saw a gorgeous marled yarn perfectly named “La Brebis Fluffy Wool”. ‘Ewe’ know you want to know what that means! Yes, a ‘Brebis’ is a female sheep, or ewe, in French. 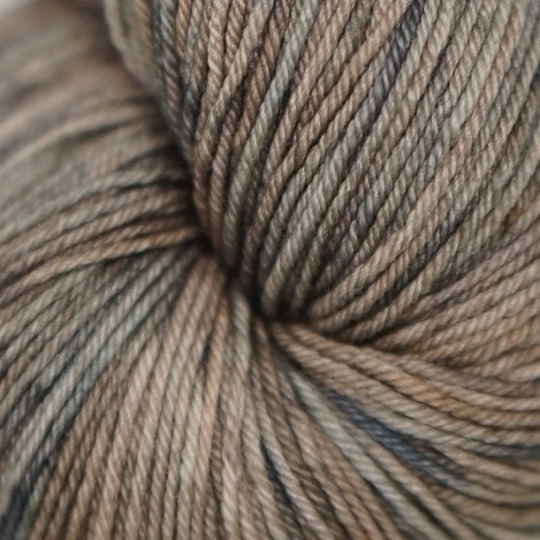 This new yarn line is all about celebrating natural and raw fibers. To get its characteristic marbling, Fluffy Wool combines undyed wool from sheep of different coat colors into a bulky, 1-ply yarn.